Tomorrow the official Choro Day ( 23th of April) will be celebrated all over Brazil and in other parts of the world, where choro is an integrated musical tradition of cultural events. Choro Day is also the celebration of Pixinguinha, the 23. 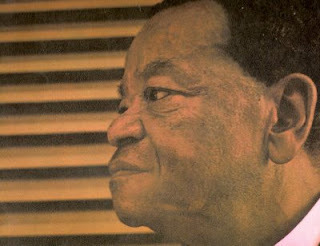 April this year we'll commemorate the fact that it is Pixinguinha's 112th birthday. I suggest and encourage readers of this blog to look up info in the local media about events according Choro Day in your area. Unfortunately, none have been arranged at my place, but instead I found some video fragments at YouTube to get into the right mood for celebrating Choro Day and the music of Pixinguinha. Finally, here's the historical video fragment featuring Pixinguinha himself accompanied by unidentified conjunto playing 'Carinhoso' - enjoy! This contribution was previously published at the Choro-Music blogspot.